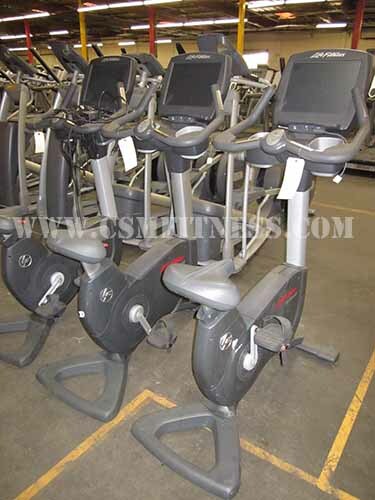 The Life Fitness 95c Engage upright bike is a simple upright bike. This upright bike was designed with many unique features such as new easily adjustable pedal straps, simple seat adjustment. Resistance controls at your fingertips. The 95C Engage also includes33 exercise workout programs. The 95callows users to easily adjust workout intensity. It also includes life pulse, a digital heart rate monitoring hand sensor that are placed on the handlebars in both the upright and racing position to provide precise heart rate monitoring. The 95c bike will motivate exercisers to keep working out.